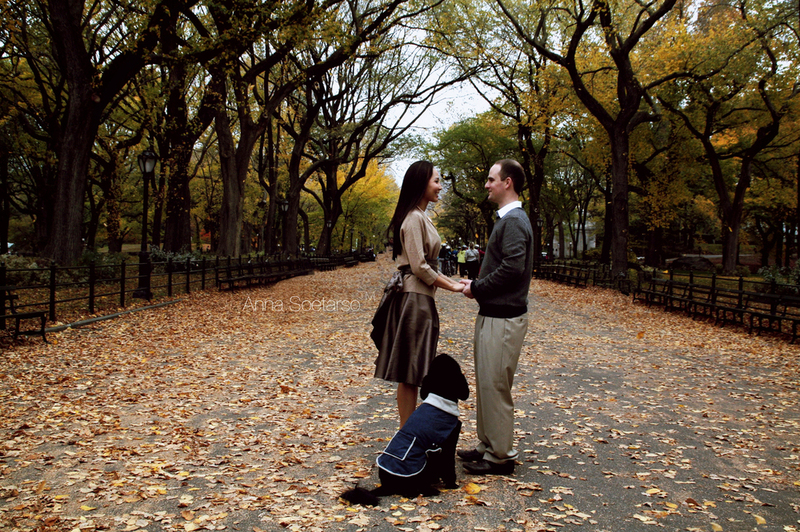 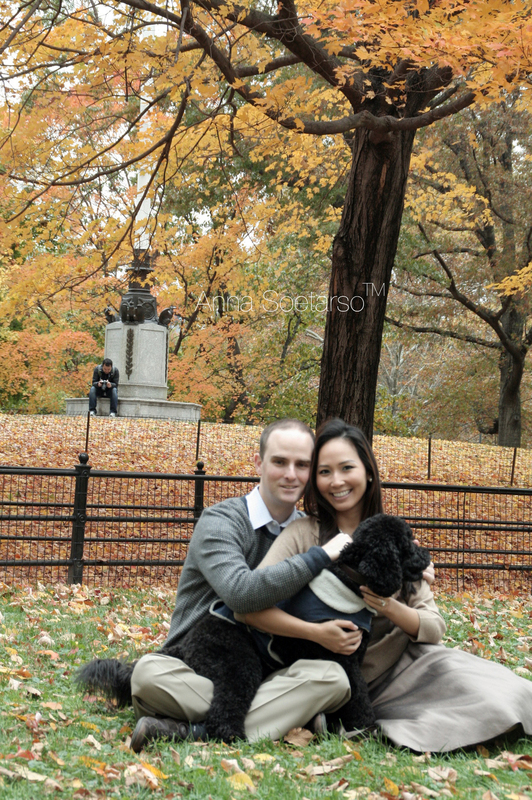 A friend of mine has asked me to take her engagement fall photos over by Central Park. 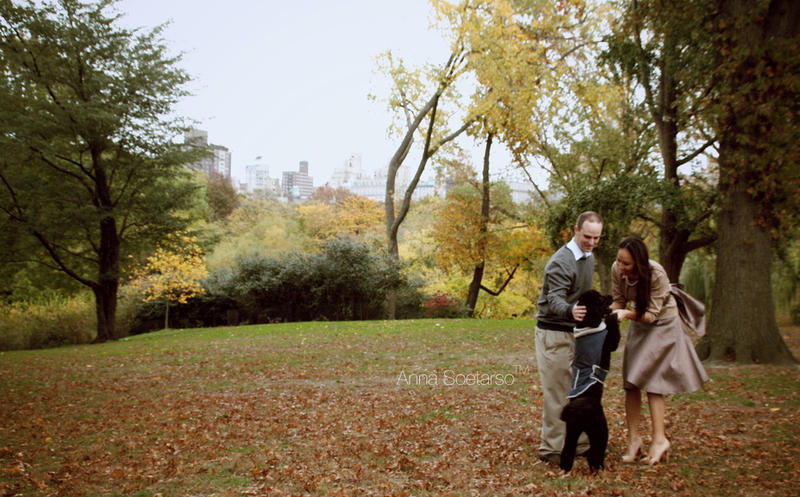 On a chilly afternoon, we managed to hit on the perfect spots and create beautiful shots. 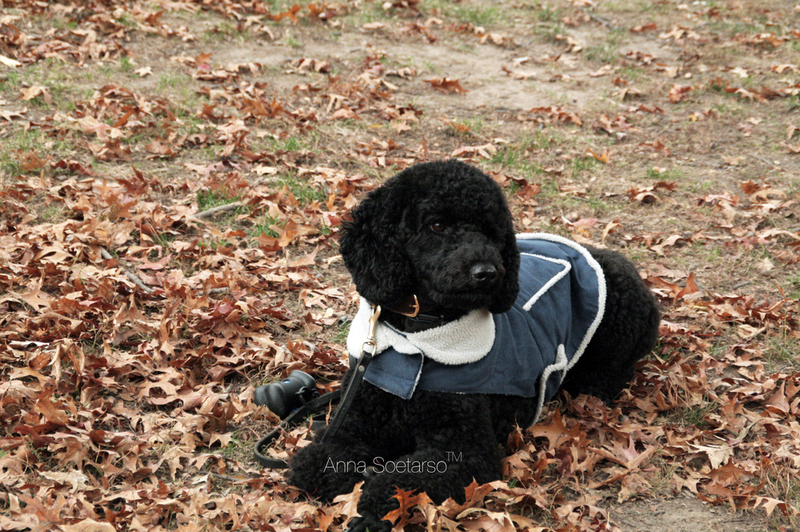 Fido, her Goldendoodle was very cooperative during the photo shoot as well, he was quite the poser too!